Lock in a great price for Hotel Domani – rated 8.4 by recent guests! Transfer oferecido para o aeroporto de Guarulhos. Very close to the airport with free shuttle bus for 24 hours. The hotel got me a taxi driver and helped me prepare a short tour around the main attractions. Reception, room service, comfort, everything exceeded my expectations. There is a superb shuttle service to/from the GRU airport. And best of all, it's free. Staff was excellent. Kitchen staff especially. Great that there is a van from the airport. 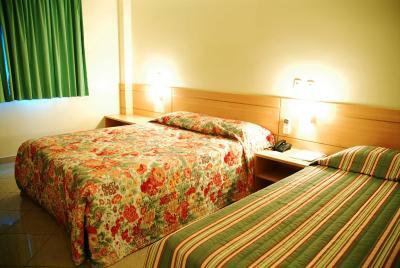 Clean and spacious room, very gentle staff. Food at the restaurant is superb for a very reasonable price. Don't miss the picanha, it is excellent and really cheap compared to most restaurants in Brazil. The shuttle to the airport worked very well and on time. - really near the airport. - free hourly transport to the airport. - extra clean. - nice breakfast. 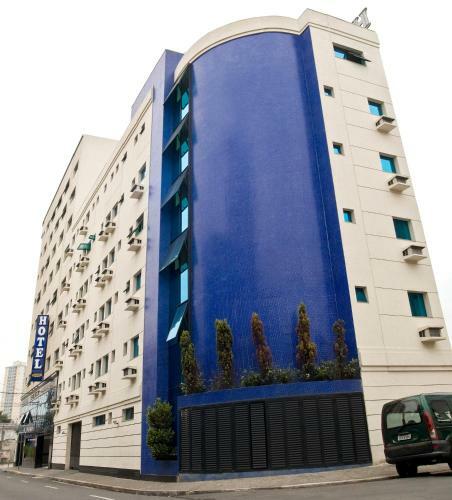 Convenient distance to the airport, friendly staff, excellent breakfast. Best hotel wifi service ever. 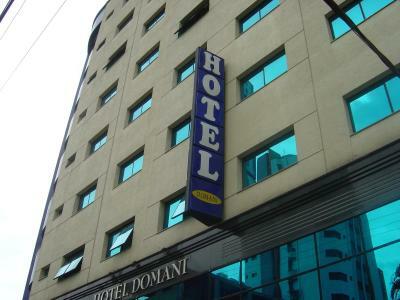 Hotel Domani This rating is a reflection of how the property compares to the industry standard when it comes to price, facilities and services available. It's based on a self-evaluation by the property. Use this rating to help choose your stay! 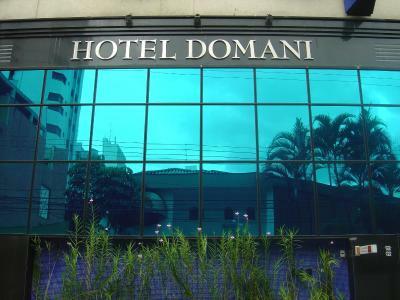 Featuring a restaurant and a fitness center, Hotel Domani is located in Guarulhos, 7.8 miles from Sao Paulo. 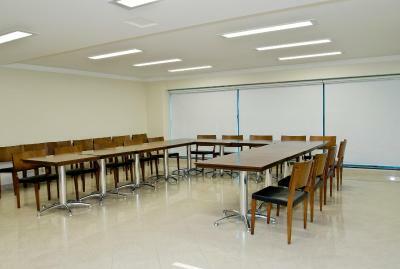 Free WiFi access and free private parking on site are provided. Guests at Domani can also enjoy free airport shuttle service. A flat-screen cable TV and a mini-bar are included in each air-conditioned room at Hotel Domani. 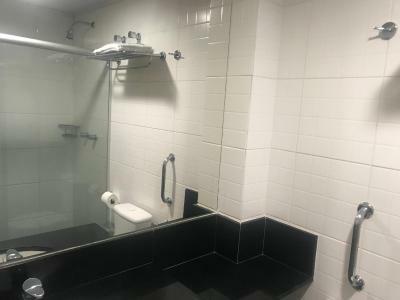 Bathroom is private and includes a hairdryer. The hotel is 1.2 miles from Bosque Maia and Av. Paulo Faccini. Lagoa dos Patos is 2.2 miles away. When would you like to stay at Hotel Domani? A flat-screen TV and a mini-bar are featured in this room. Air conditioning is also provided. House Rules Hotel Domani takes special requests – add in the next step! Hotel Domani accepts these cards and reserves the right to temporarily hold an amount prior to arrival. Property does not accept credit cards from third parties. Please note, shuttle service can be arranged by request. 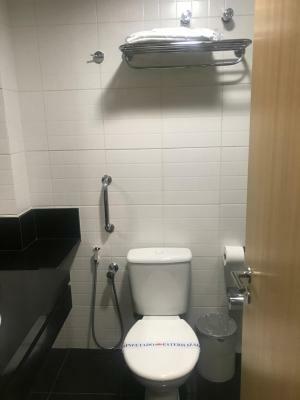 Please contact the property directly in advance. Shuttle program and whatsup number of hotel should be listed on booking.com. Since we booked the hotel before less than 10h from our arrival, mailing was a bit difficult. staff was very helpful. They accept our early check in; we used the hotel from 10am to 2 am. Before 12 h flight, it was so good. Everything was up to standard, nothing not to like. We waited more than an hour for the shuttle after a long flight. That wa the only negative. 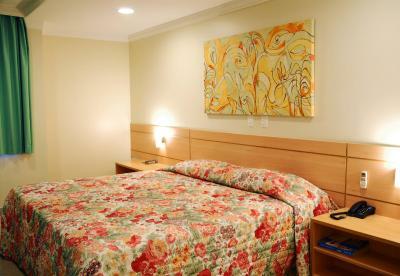 Friendly staff, beautiful clean and spacious room. Very nice breakfast. I had to call for shuttle van and need to wait over 30minutes. If they have a fixed schedule, it'll be easier. Free Shuttle van from the airport Receptionist was nice. they pack fresh towls in plastic bags - for what reason? never seen this before. this hotel is perfect for a short stay and when you need a shuttle to the airport. my room was clean and the staff was friendly. Breakfast was ok. Not great but was good enough to get rid of your hunger. 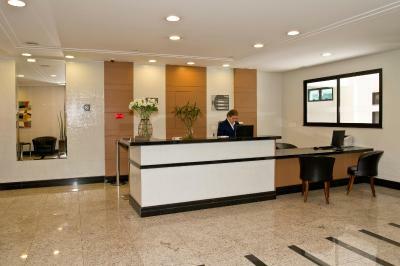 In order to get the shuttle from the airport you have to phone the hotel on arrival. But the "phone hotel" button on the reservation didn't work. Probably Booking com's fault. Big nuisance after a long flight. I would not want to take an evening stroll through the neighborhood. 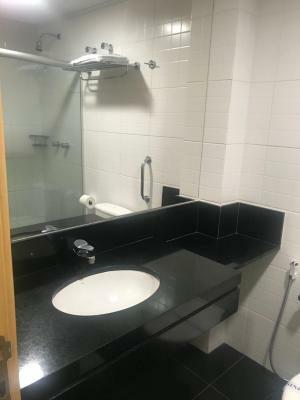 It's a decent hotel - nothing special. Friendly staff. Free parking. Free airport shuttle.